Liza’s Garden was a dream for Sundra Denman and her husband Lynn. For years Denman had been eyeing the little garden shop in Huntington next to her job of 30 years at Integra Insurance Company until it finally went up for sale. “I had heard that this shop would be selling, so I came and talked to the owner and said, ‘If you ever decide to sell, just let me know; give me first shot at it,’” Denman said. In 2004 Denman’s fight against breast cancer impacted her deeply. Denman said she had a fabulous boss who let her take on this project in her off time while continuing her full-time position, and her husband was a strong partner in creating this business, helping with renovations and creations. 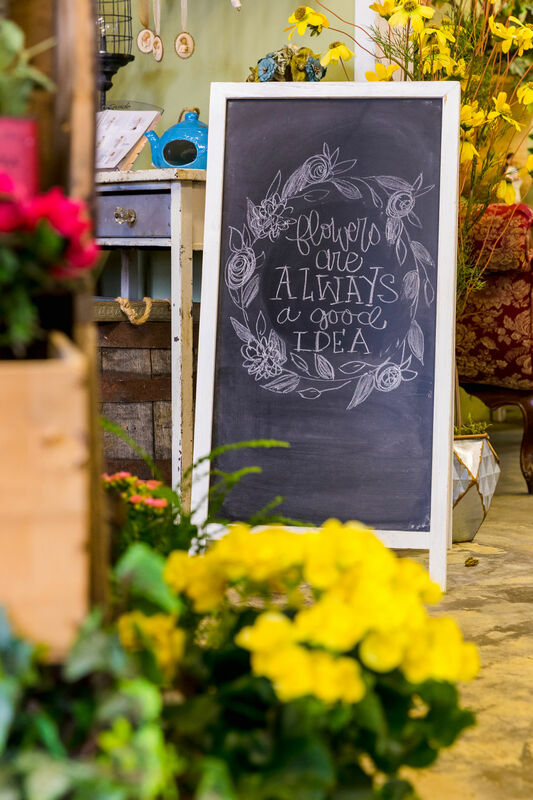 Over time Denman was able to expand her shop to host local artists and other gift items in addition to a wide assortment of flowers and floral arrangements. “I love doing it; it’s not work to me,” Denman said. Many a night, Denman, her husband and other employees would be busy creating as much product as possible. Though the work is hard, Denman said working in her shop never truly feels like work because she loves doing it. Denman said Liza’s Garden wouldn’t be possible without the help of her amazing staff. Christal Iguess is the store manager and has been with the store for 16 years. Lisa Mason has been working two years as a floral designer, Kelsey Knight two years and Pat Bryan one year as delivery persons and designers in training. “All of us are like family,” Denman said. Iguess said she enjoys just about everything about her job. Mason is a Texas Master Florist and has been in floral design for 29 years. She said she really enjoys working at Liza’s. Knight and Bryan said they love to surprise people with something to brighten their day. “A lot of people don’t know they’re getting flowers, so you’re the person who brightens up their day,” Knight said. “If they’re in the hospital or just having a bad day, it means a lot to them, and it makes you feel good that you get to be the person, even though you didn’t send it, bring it to them,” Bryan said. Denman just retired from Integra in January, so she is finally able to devote her time to Liza’s Garden. Liza’s Garden is named after Denman’s grandmother, who she said had a real green thumb. A photo of Liza coming in from her garden is proudly displayed upon the countertop of her namesake store. Denman said people will call her Liza all the time, and she loves it. However, that did come with a responsibility of sorts. From the beginning God has been the center of Liza’s Garden, Denman said. “When we first started, we wanted to get an inspiration from the Bible because God’s always been the center of our life,” she said. 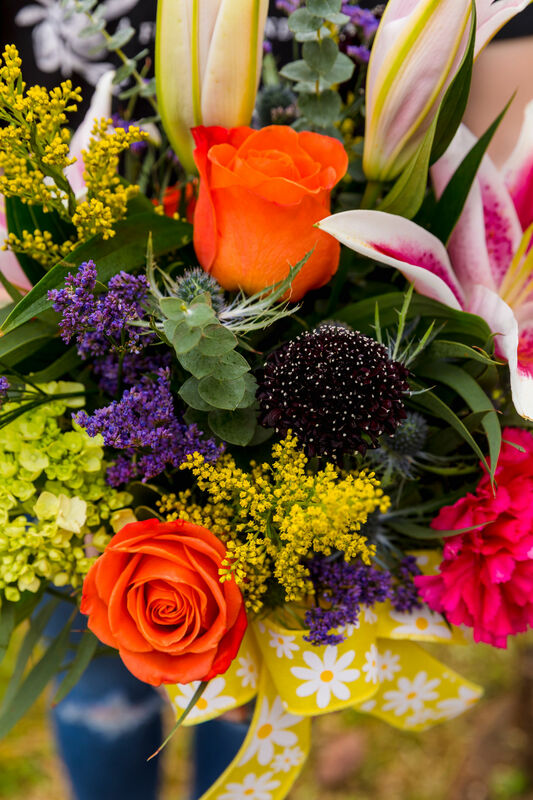 Denman’s husband passed away about four years ago, and she said seeing the flowers and who sent them was a big help for her in her time of need. “Different people have different seasons. Sometimes they’re happy, and sometimes they’re sad. In all that, the flowers add a warmth and make you feel better even in your sadness,” she said. Liza’s Garden is at 538 N. Main St. in Huntington. It is open from 9 a.m. to 5 p.m. Monday through Friday. For more information, call (936) 876-3582 or visit lizasgarden.net.